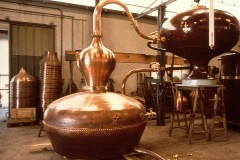 Cooling tank and coil : Condense the vapours and regulate the temperature of the distillate. 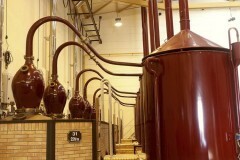 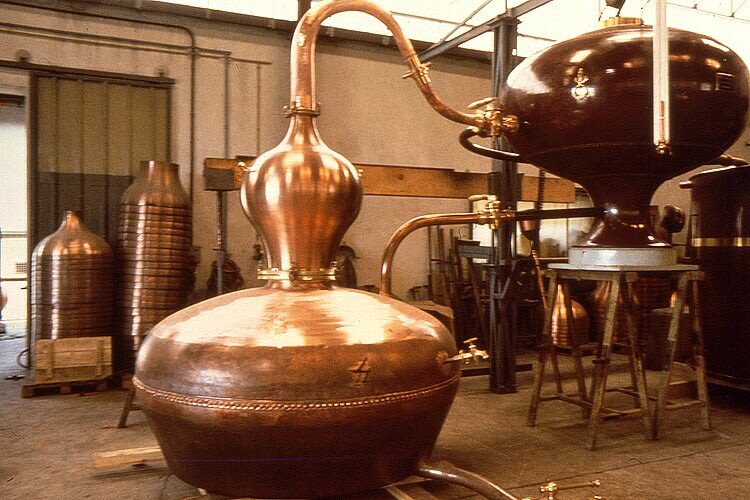 The boiler, still-head, swan-neck and coil must be made of copper (as set down in the specifications for the AOC Cognac). 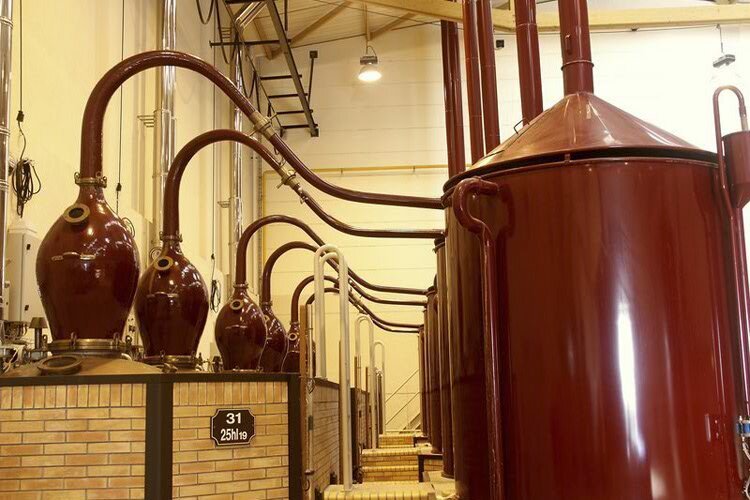 This metal is chosen for its physical properties (malleability, good heat conduction) and its chemical reactivity with certain components of the wine, which make it an indispensable catalyst for obtaining quality eaux-de-vie.